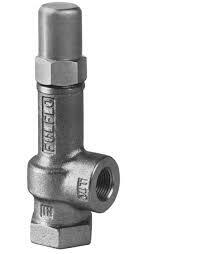 Since being established in 1912, Fulflo has been a pioneer in fluid power and hydraulic bypass relief valves. Fulflo held patents for the original guided piston, direct-acting relief valves, and pilot valve controlled relief valves. 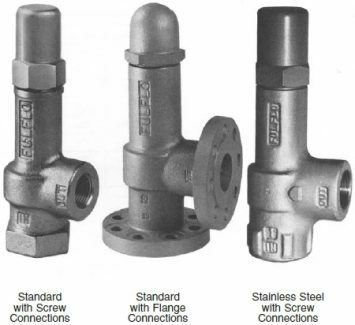 Fulflo relief valves work off the principle that the valve must have flow capacity equal to that of the pipe lines to which it is connected. With the sliding piston concept and internal design contours, Fulflo valves have unique flow and stability characteristics with reliable performance without chatter. The optimal pressure range for Fulflo valves to operate reliable is as low as 2 PSI to as high as 1000 PSI. At higher pressures, the pilot valve-operated valves are used to accommodate the conditions. Fulflo valves minimize system power loss by reducing velocities through all but the controlling interface of the valve. Transient pressures surges tend to cause ordinary direct acting relief valves to pound, squeal, and chatter, but the Fulflo guided piston valves are less responsive to such pressures eliminating those tendencies. FulFlo valves ensure quiet, stable, and efficient performance for load regulation and system protection applications involving effectively all types of liquids in the full range of viscosities including hydraulic oils, water, solvents, and chemicals. The Fulflo FV Series is similar to the V series, but with a new safer design that protects liquid and gasses from venting out of the valve during normal operation and adjustment conditions by preventing the adjusting screw from backing our while adjusting the pressure. 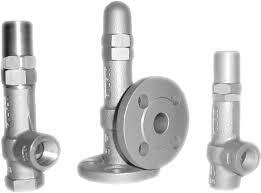 The valves are best used in hydraulic and lubricating systems for load regulation and system protection. They are available in flange or screw connections constructed from cast iron, brass, steel, and stainless steel construction with a cartridge configuration. 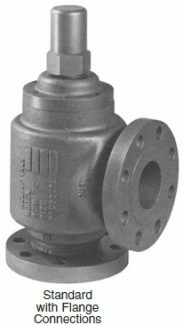 The Fulflo OV Series is a type relieve valve when considering the outlet pressure does not affect the valve’s set pressure because it operates only off the inlet pressures. These valves work best in applications where the backpressures cannot affect the valve’s opening pressure. The valves are best used in hydraulic and lubricating systems for load regulation and system protection. They are available in flange or screw connections constructed from cast iron, brass, steel, and stainless steel construction with a cartridge configuration. The Fulflo A series valves are best used in a variety of applications including hydraulic and lubrication systems for load regulation and system protection. Both direct acting and internal pilot operated models are available. They are available in flange or screw connections constructed from cast iron, steel, and stainless steel construction with a cartridge configuration. The Fulflo SVB Series are best used with fuel oils on oil burner service, especially where Underwriter Listed valves are required. To prevent over-adjustment, each valve is pre-set to the specified pressure and is equipped with a limiting device. They are available in thredded connections and constructed from brass with a cartridge configuration.